This is a review of seven books all in one volume, and they are billed as classics. I did not know about this series as a child, and in my adulthood the books never seemed to have any appeal to me. But now, in my maturity, and as a writer in the fantasy genre myself, I felt that my 'fantasy' education would not be complete until I read them. Well, the books are decent - some better than others. I liked 'The Horse and his Boy' better than most, although the xenophobic, or at least insensitive representation of the Calormenes (obviously modeled after Arabians) bothered me. 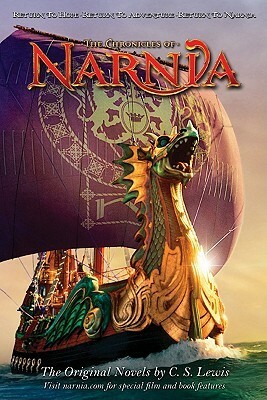 And to my surprise I liked 'The Voyage of the Dawn Treader' least. The former is the best Lewis ever gets at developing realistic, complex characters. The latter rambles pointlessly and then seems to deteriorate into pure hallucination. I'm sure that the friendship between Lewis and J.R.R. Tolkien served both men well. But frankly I have a hard time envisioning how the cross-pollination worked. Tolkien's prose is magical. Lewis's is workmanlike. Tolkien's Middle Earth mythopoeia is epic. Lewis's Narnia has a hard time getting out of the Wardrobe. The 'Wild' effect - get out and Hike!